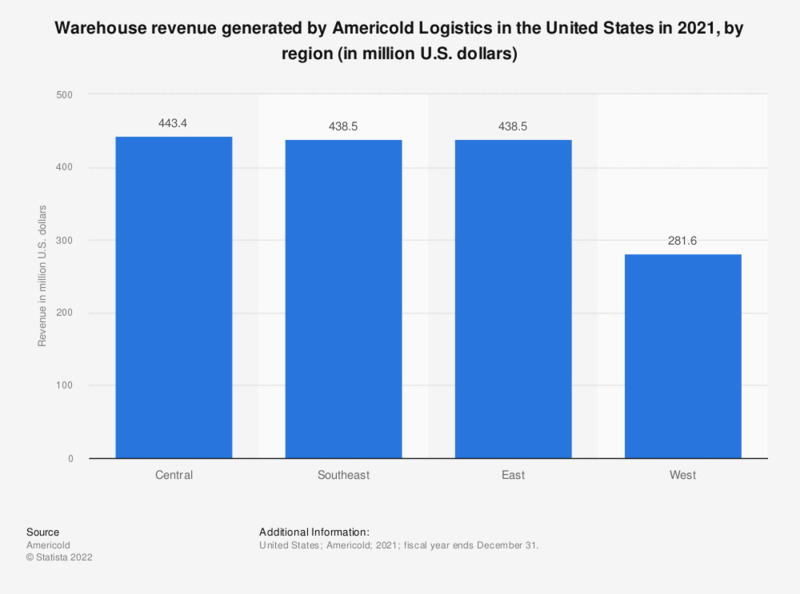 This statistic shows the revenue generated by the warehouse segment of Americold Logistics in the United States in 2018, broken down by region. In that year, the Atlanta-based logistics company generated 216.5 million U.S. dollars in revenue from the warehouse segment in the Southeast region. Figures are for the 12 months prior to September 30, 2018.